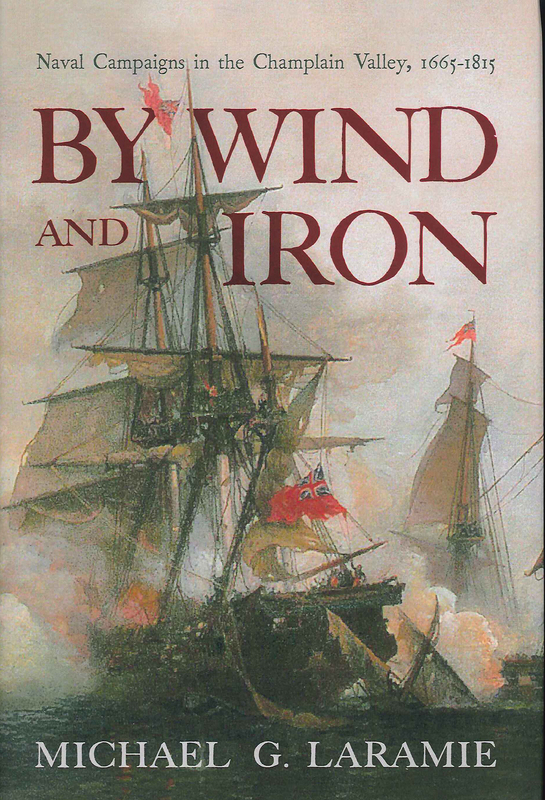 BY WIND AND IRON, Naval Campaigns in the Champlain Valley, 1665-1815 - by Michael G. Laramie. Hardbound, 274 pages, 6� x 9�. This text detail the history of this sharply contested and highly important waterway. The Author details the region from the first French fortifications along the Richelieu River in the late seventeenth century through the tremendous American victory over the British at the battle of Plattsburgh on Lake Champlain in 1814. Using primary source letters, and journals Laramie examines the northern waterways and their tributaries within the framework of the soldiers and sailors who faced the perils of the campaigns fought here.